Christine Lagarde, Managing Director of the International Monetary Fund, will be the featured speaker at Claremont McKenna’s 71st annual Commencement Ceremony, to be held at 2 p.m. Saturday, May 12, on Pritzlaff Field. The first woman to lead the IMF – which lends to member governments to minimize financial crises – Lagarde has been described as one of the most powerful women in the world. Lagarde is credited with helping to stabilize Greece’s economy and preventing a greater economic crisis in Europe. 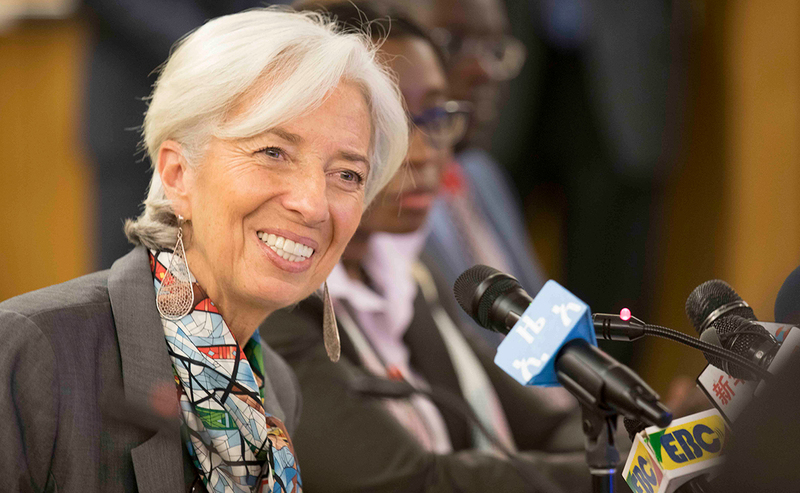 Lagarde’s priorities include battling climate change and income inequality, combatting corruption, and improving gender equality to raise GDP and workforce participation. A lawyer in a world of economists, Lagarde strides the still mostly male corridors of power. She is the rare woman in ubiquitous group photos at gatherings such as the G20 Finance ministers summit and Central Bank governors meeting. Lagarde started as an associate at the international law firm of Baker & McKenzie, where she eventually rose to become chairman of the firm’s Global Strategic Committee. She served as France’s minister for foreign trade and its minister for agriculture and fisheries. In 2007, she was named the country’s finance and economy minister, the first woman to hold such a post in a G-7 nation. A former member of the French national team for synchronized swimming, Lagarde is the mother of two sons. Also at commencement, Chaplain of the U.S. House of Representatives Father Patrick J. Conroy ’72 will deliver the invocation. The commencement ceremony is open to family and guests of the graduates. A video livestream of the ceremony will be available at 2 p.m. Saturday, May 12. Journalists interested in covering the event should contact Joann Young at (909) 607-9246 or Peter Hong at (213) 537-3559.